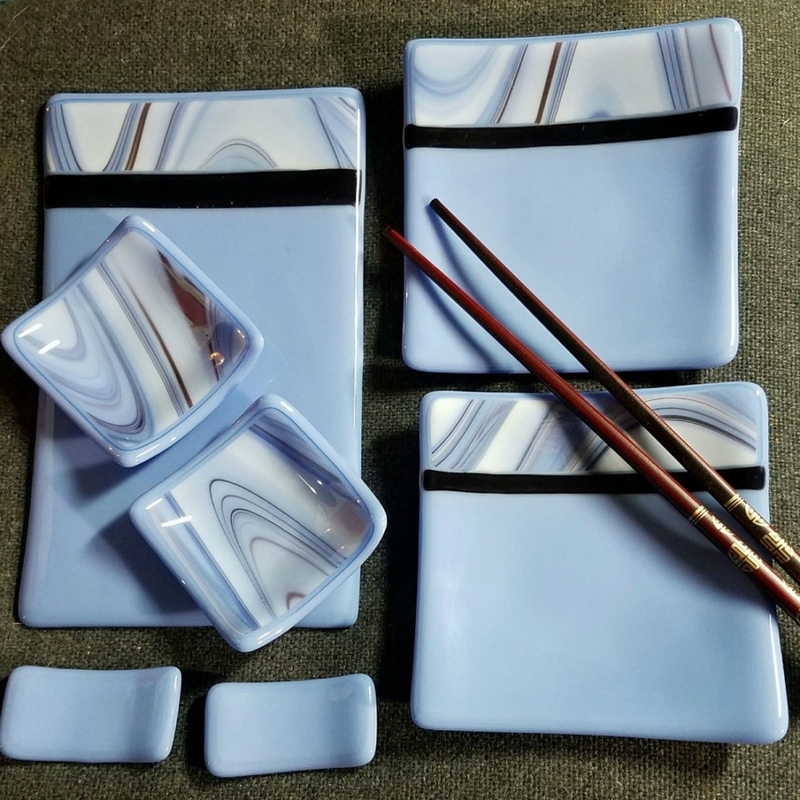 Warm (fused) glass sushi sets, tapas, dessert sets, plates and platters, coastal magnets, holiday decorations, jewelry and other decorative household items, made individually by hand. 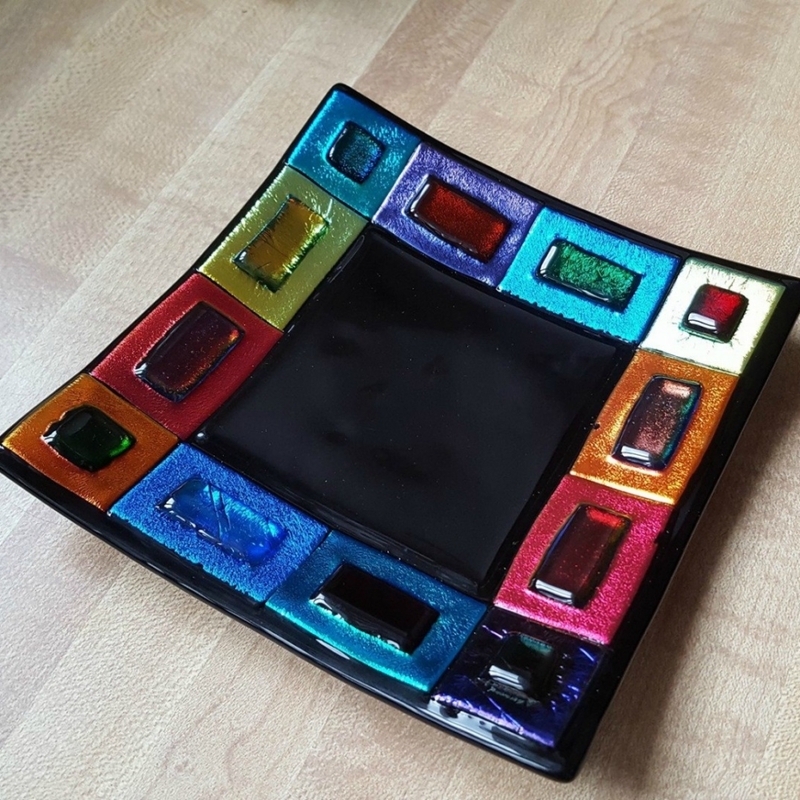 I buy my glass primarily from Stained Glass Express in Manchester, Maine and, in my home studio, design, cut and piece glass before fusing the glass in a kiln. 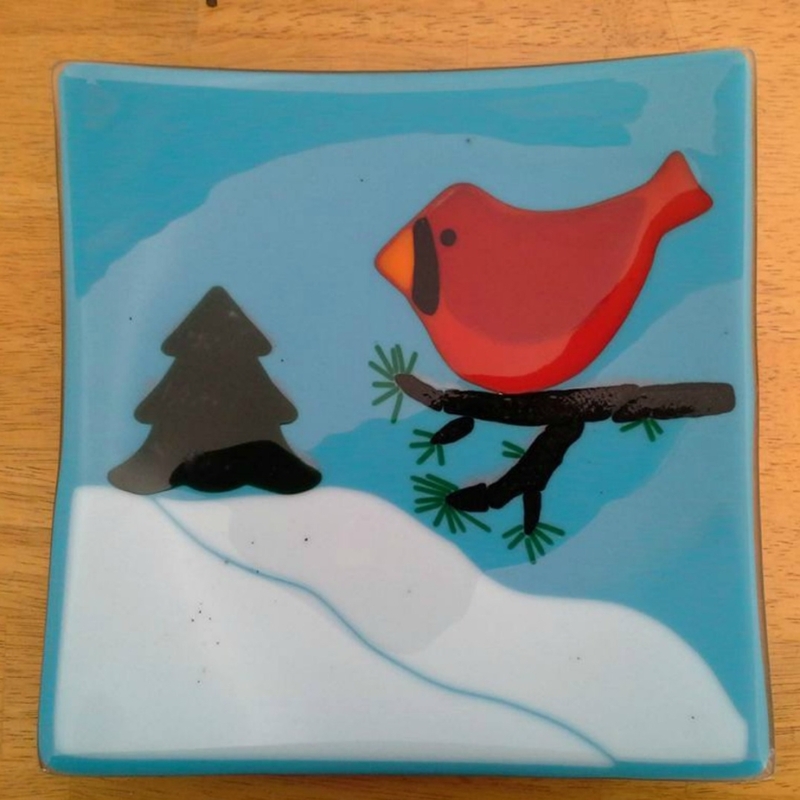 Once fused and cooled, dishware is then heated into a mold ( called “slumping”). 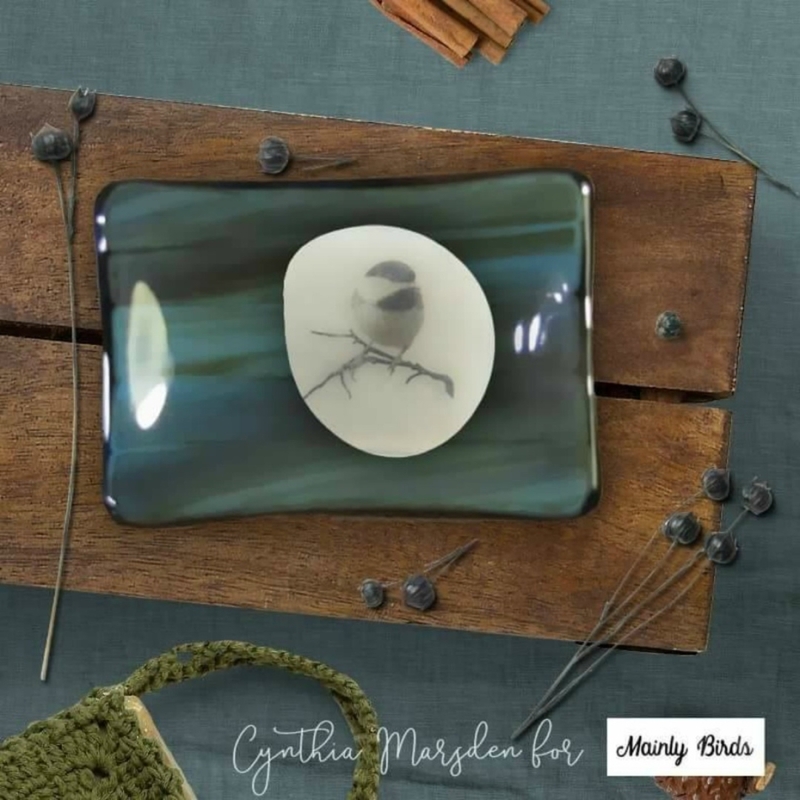 All pieces are one of a kind.